Are you an Indian? Do you want to pursue MBA from New Zealand? Then check out our Top 11 B-Schools in New Zealand for Indian students list. These reasons altogether make it an enticing opportunity for Indian students to study in New Zealand. If so, you’re searching for top B-schools in New Zealand for Indian students to pursue MBA then you’re at the right place. We have compiled the following list on the basis of cultural harmony, quality education, affordability and value after course completion. It is the top rated business schools in New Zealand. That offer multicultural environment, and world class quality education. Apart from MBA course, it also offers PG Diploma in Administration, Health Management and Maori Development. It has all state of the art infrastructure and technology that a top ranking b-school should have. The University of Auckland Business School has lot of successful Indian alumni. At present, it also has many Indian students enrolled in PG Dip and MBA programmes. 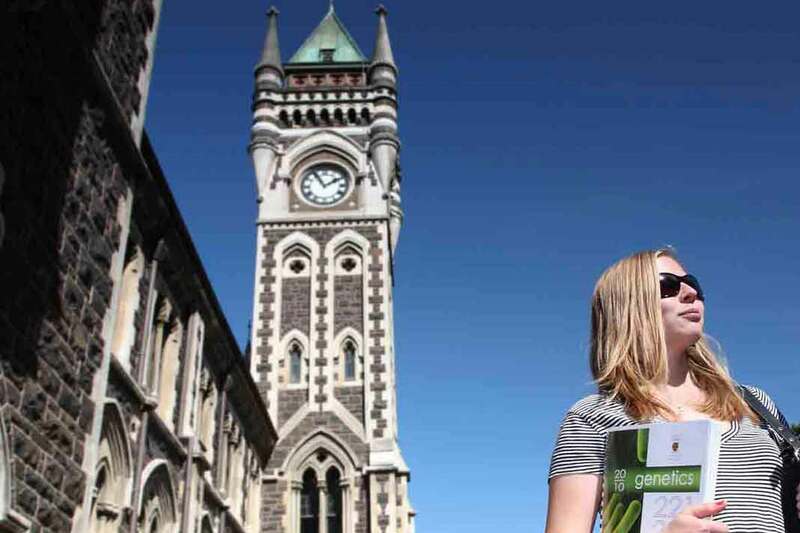 AUT is based in beautiful and cosmopolitan Auckland city. This B-school has to be on your list. This B-school has one of the largest Alumni networks in New Zealand. Moreover, the infrastructure is very competitive and above par. However, there are very less Indian students studying here. Nevertheless, the multicultural environment won’t make you feel left out. Also, there are few South Asian and Indian origin teaching faculties on board. You could pursue MBA course here. Apart from MBA there are some undergraduate and postgraduate course in management and business. Otago Business School belongs to University of Otago based Dunedin, New Zealand. Dunedin is a beautiful that has long sea shore, and lot of greenery for hiking and biking. Living here is in itself an experience difficult to forget. You can pursue MBA at OBS. Apart from general MBA, it also offers postgraduate course in Economics, Entrepreneurship, Information Science, International Business, Management, Marketing and Tourism. There are lot of Indian students pursuing different courses at University of Otago. Moreover, Indian community though small but it is quite vibrant here. Wellington is the capital of New Zealand that have flourishing economy, multiculturalism, and cosmopolitanism. If you want to experience the best lifestyle in New Zealand, then you should be studying here in Wellington. VBS belongs to Victoria University of Wellington (VUW). All its alumni and current students swears by its quality of education. Also, there are lot of Indian students studying here. You will definitely feel at home in Wellington and at VUW. Furthermore, there are few Indian origin faculties as well here. Hamilton is an idyllic cosmopolitan city offering large sea view and beautify greenery. Economy of Hamilton is flouring that also offer lot of opportunities. Waikato Management School is part of the University of Waikato that’s based in heart of Hamilton. WMS is listed as one of the top ranking b-schools in New Zealand. Hamilton city has sizeable Indian community. In addition, many Indian students are studying WMS. Often ex-students are seen recommending WMS b-school for PG management courses. But, in many cases some often are seen saying that WMS is money minded. The Christchurch city is surrounded by magnificent mountain ranges and greenery. The city is comparatively small though but quite peaceful and colorful. UC Business School offer wide variety of Business Management and Commerce courses. There are lot of Indian students, and also often UCBS visit India for counseling sessions. Moreover, the Indian community maybe small in Christchurch, it is vibrant and active. Also, there are Indian origin teaching members at UC Business School. Overall the environment of living in Christchurch and studying at UC Business School is friendly. Massey B-School belongs to Massey University, which is based in Palmerston North city. Relatively, there are less Indians in Palmerston North. But you won’t feel short of eating out Indian cuisine in Palmerston North. The Massy University is well known for its agriculture courses. However, its management courses are no lesser. Indians studying at Massey University are few. Nevertheless, there are many students from South Asian countries studying here. You have any suggestions then please feel free to share it with us.